Are you sick and tired of walking past billboards that offer generic pitches to buy their products that aren't specifically tailored to your gender and age group? Well, fear not, because high-tech Japanese billboards are here to save the day. 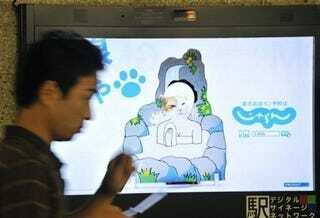 The billboards are part of the Digital Signage Promotion Project, in which 27 of the displays have been placed in various Tokyo subway stations for at least the next year. The billboards are equipped with sensors that its designers claim can instantly assess the gender and approximate age of passersby provided they look at one of the signs for at least a second.